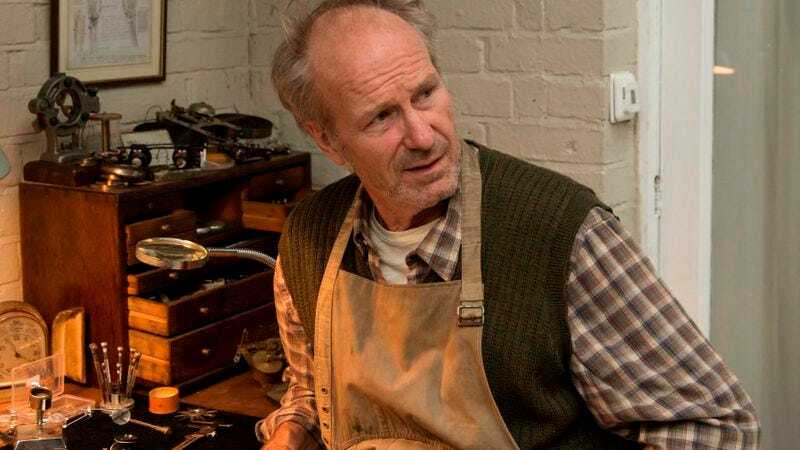 William Hurt’s work with robots on Humans wrapped up earlier this month, so he’s got a little time on his hands to interact with slightly more loving individuals—lawyers. Deadline reports Hurt has joined Amazon Studios’ Trial as part of a cast that already includes Billy Bob Thornton and Olivia Thirlby. Legal drama aficionado David E. Kelley will team up once more with Jonathan Shapiro (The Practice, Boston Legal) to produce and co-write the pilot. Trial stars Thornton as attorney Billy McBride, who goes from a corner office at his own firm to setting up residence on a bar stool. The once-respectable lawyer is now only on retainer to his ex-wife, who sends him the occasional case. His career is seemingly revived when a young attorney (who we assume will be played by Thirlby) asks for his help on a wrongful death case. And that’s where Hurt comes in—he’ll play Donald Cooper, a high-profile lawyer from McBride’s old firm who will defend the person or company on trial. Cooper will presumably dazzle the jury with legal maneuvers and distract opposing counsel with a different case (of Jack Daniels). But before he plays a blue-chip attorney, Hurt will finish filming his role as Hrothgar in that Beowulf adaptation we’ve learned is actually happening.